On Sunday 16 February 2014, a violent riot took place in Australia’s offshore-detention centre on Manus Island, Papua New Guinea. During the violence, a young Iranian man, Reza Berati, was killed. 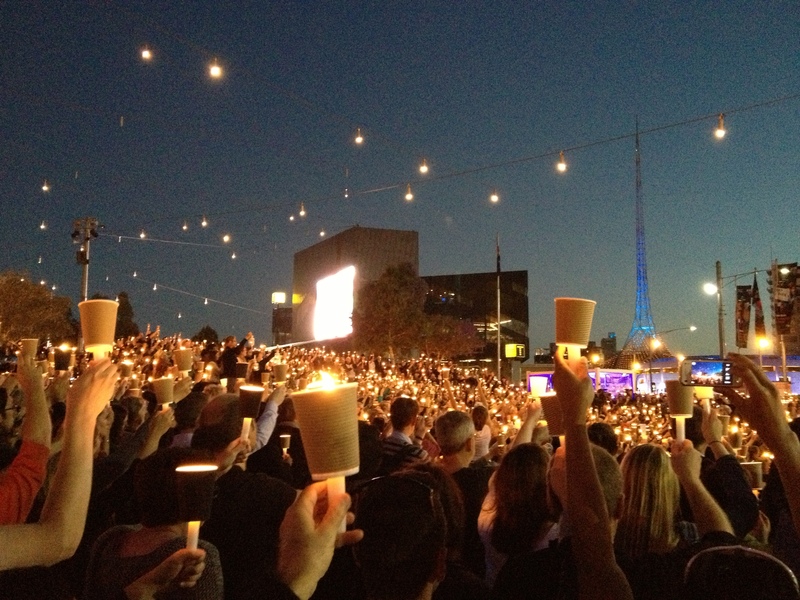 A week later, on Sunday 23 February, candlelight vigils — ‘Light the Dark’ — were held around Australia. There were reportedly more than 700 of them, all in memory of Reza, and to draw attention to the treatment of refugees in these centres. I’m not usually someone who attends rallies or political marches, but this issue means much to me. 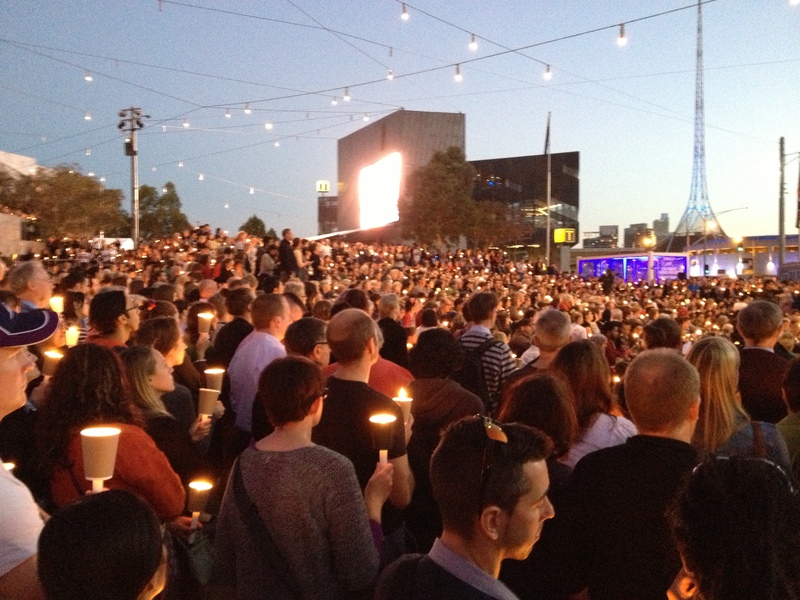 These are my photos from the gathering in Federation Square, Melbourne. 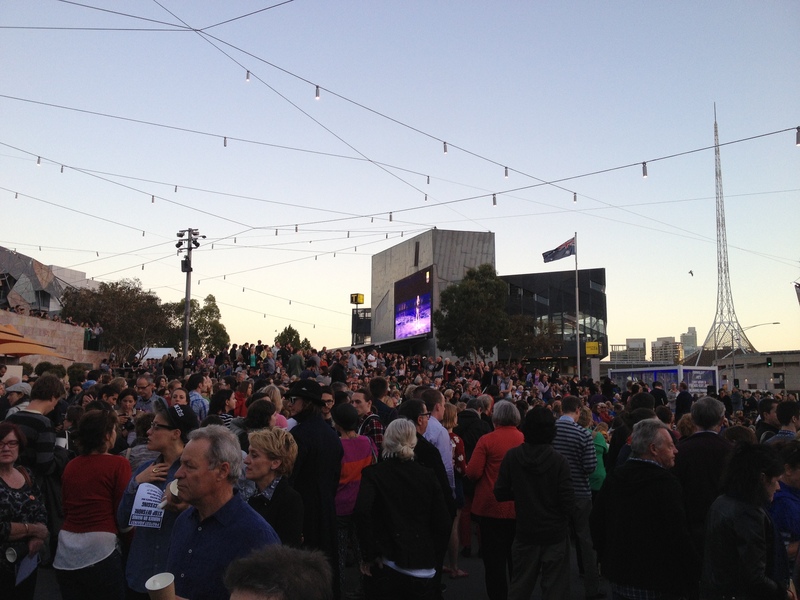 The crowd arrives in Federation Square, Melbourne. Everyone listens to Father Bob McGuire address the crowd. Candles raised in memory of Reza.